For people who want to make a difference in this country, starting a career in ICE Homeland Security is one way to do it. 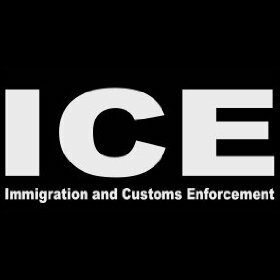 ICE, or U.S. Immigration and Customs Enforcement, is the largest investigative agency in the Department of Homeland Security. To qualify for many ICE Homeland Security positions, you need a college degree. One option is a degree in Homeland Security. For those who successfully complete one of these education programs, potential careers include deportation officer, detention officer, HSI special agent, immigration enforcement agent, intelligence officer, and criminal research. Some universities that offer this degree program include American Military University, American Public University, California University of Pennsylvania, University of Honolulu, Colorado Technical University, and Purdue University, among dozens of others around the nation. There are many rewarding ICE Homeland Security jobs available to individuals who have earned the education and qualifications necessary to work for this prestigious organization. Some of them are described below. Deportation Officer – A deportation officer has the job of identifying and arresting illegal aliens. They also investigate and provide supporting materials in deportation efforts. Their work can include doing surveillance, working with other law enforcement agencies, preparing reports, and going on search and seizure missions. This position is one of both action and office work. Typically, a deportation liaison officer can make between $85,000 and $110,000 per year. Detention and Deportation Officer – This level of officer is more of an administrative position than an action one. Those in this position direct, coordinate, and execute detention and removal activities. They work in long-term planning and provide guidance for operations and policies. Many who obtain this level have worked as deportation officers prior. A typical salary for this is much the same as for a standard deportation officer. HSI Special Agent – In this position, an agent conducts investigations related to national security threats, drug smuggling, illegal arms importing, identity fraud, terrorism, and financial crimes. For this career in Homeland Security, the agent may also need additional training in investigation and be able to carry a firearm. This position allows promotion up to GS-13 which pays anywhere from $72,000 to over $100,000. Immigration Enforcement Agent – An immigration enforcement agent is the one who patrols the borders looking for illegal entry. They stand guard at the border entry points. They provide the enforcement role among ICE Homeland Security jobs. Agents patrol the border with Mexico as well as Canada. They provide enforcement at every point. They help with processing and deporting individuals found to have entered the country illegally. An agent in this position can make between $52,000 and $68,000. Intelligence Officer – An intelligence officer acts as a liaison with intelligence agencies from different areas of the government. They analyze and evaluate information for ongoing investigations. They work in major criminal investigations involving ICE and Homeland Security. They also coordinate and monitor ICE intelligence gathering operations. Other potential positions in this area include research assistant, specialist, and program analysts. The salaries vary by position, but an officer can make around $85,000 to $100,000 a year. If you desire to work in ICE Homeland Security, you will find a specialized degree is a great way to gain entry into this rewarding field.